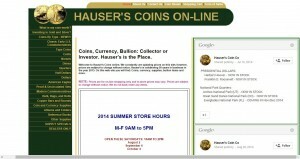 Hauser’s Coin Co address, phone, website, hours of operation, and more. We constantly are updating prices on this site; however, prices are subject to change without notice. Hauser’s is celebrating 50 years in business in the year 2013. 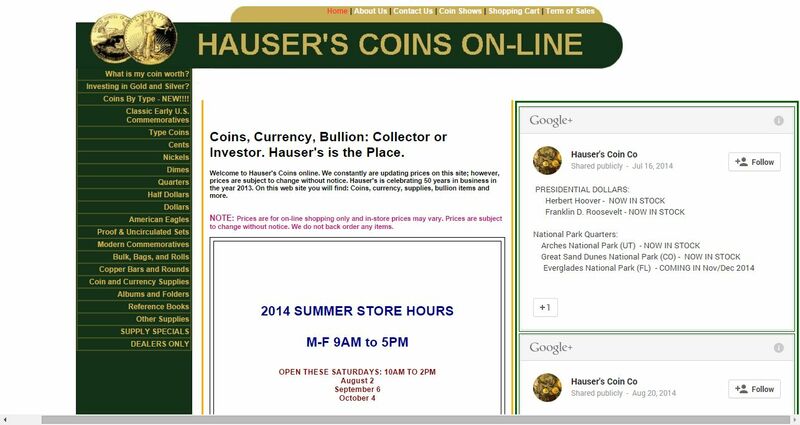 On this web site you will find: Coins, currency, supplies, bullion items and more.